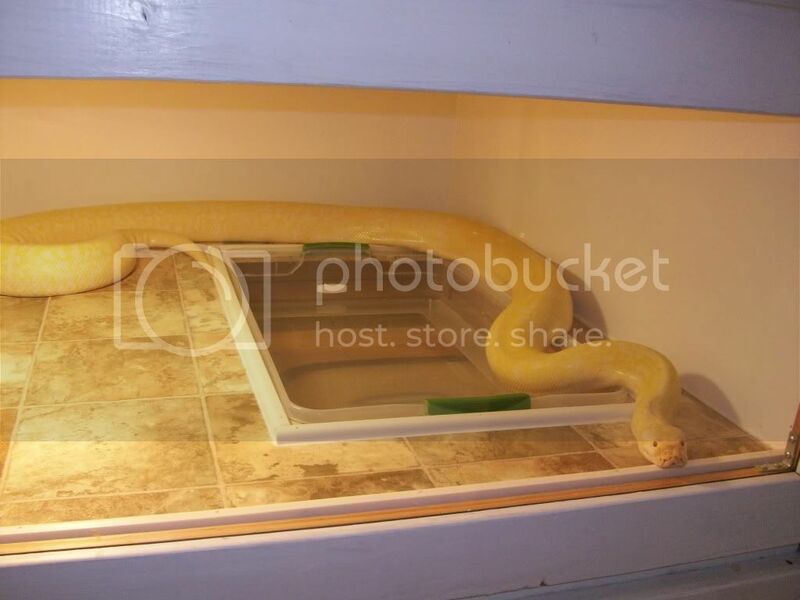 So my 2 yr old albino Burmese "powder" is ready for a bigger cage. 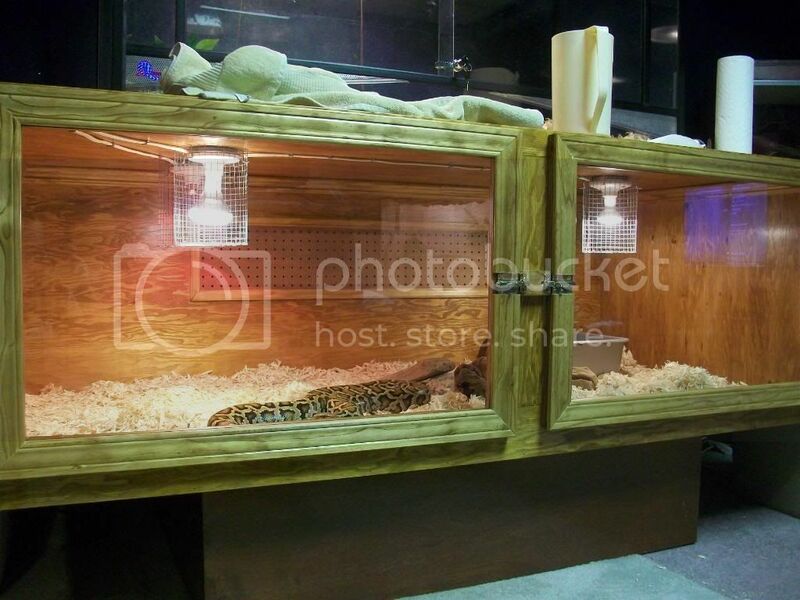 I have been looking online for one and the biggest one I have found is the vision cage 632 which is 6ft by 3ft. 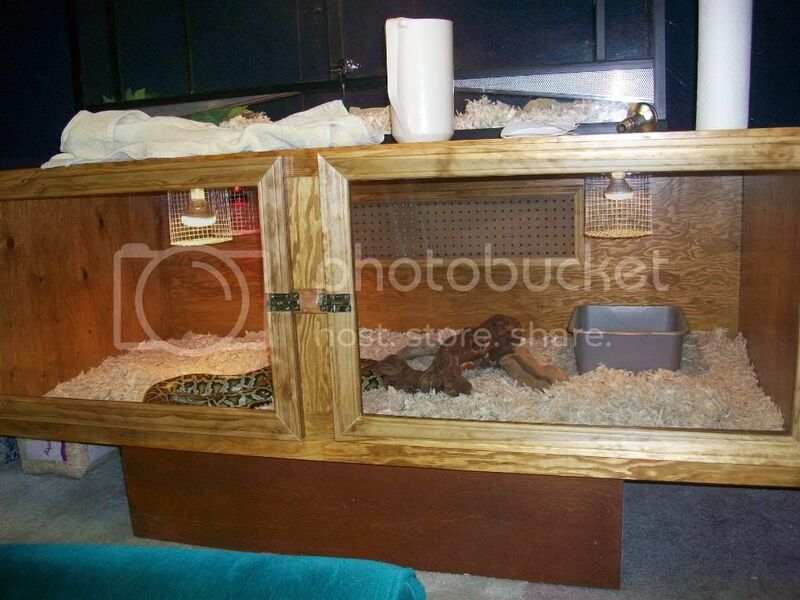 Has anyone had any experience with keeping a Burmese in one of these. I have a baby on the way so the only way my wife will let me keep her, powder that is, is if I have her in a noway, can’t escape, even when she is 200lb cage. So I am hesitant about building my own. 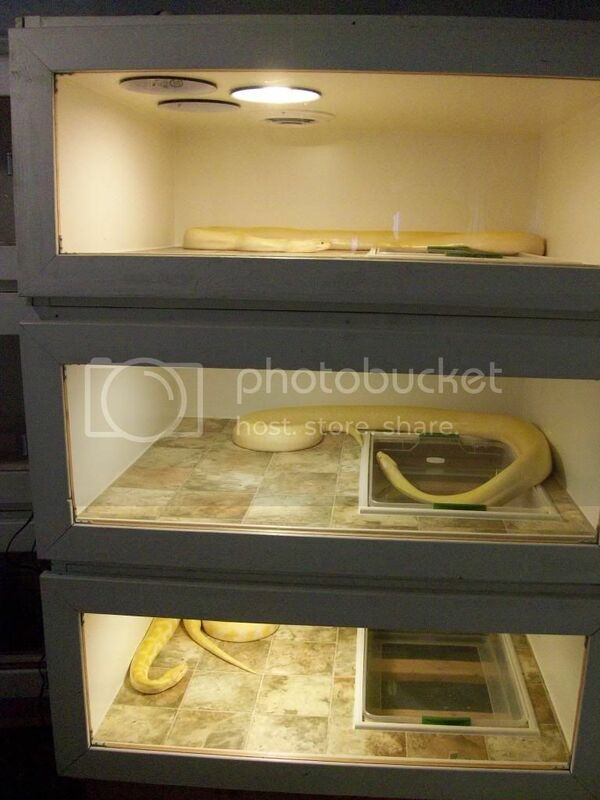 my breeder keeps his in 4l by 4w by 2h and he has some big 16+ footers. depending on your feelings about it i would build one. i was going to buy a custom enclosure for my monitors and decided to build one that is 6l by 4w by 2h and cost me around 150 . if you want to give them space to roam or stretch out build your own. 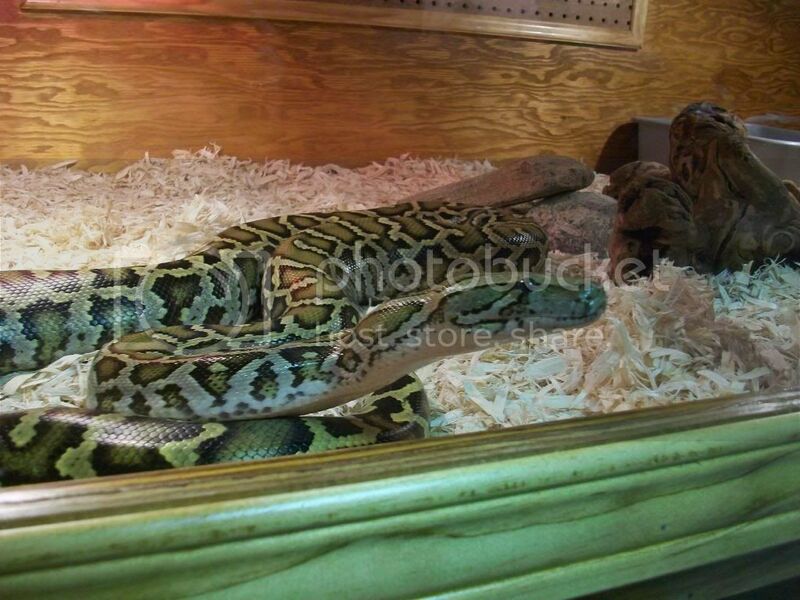 i have to build 3 more of them i got 3 burmese pythons right now and they are growing fast. i got a normal in july about 18 inches and she is already 5ft my male albino is 4+foot i got him as a hatchling in august and i just but a granite hatchling a week or so ago. so unless you dont have the time or resources i would build one. 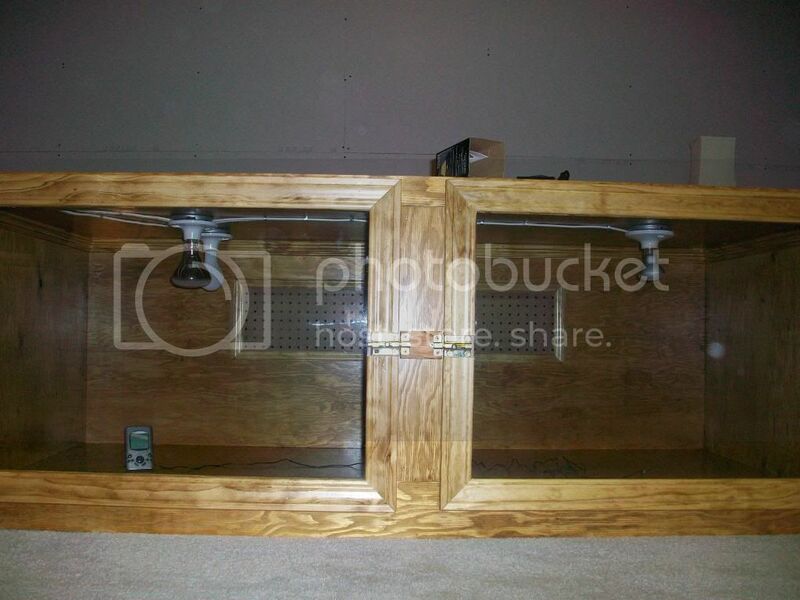 hey, awesome enclosures. how do you go about installing those light fixtures? and i noticed the thermostats and plug ins on the side. i have no clue how to even start that, other than siliconing and screwing on the actuale fixtures. i didn’t take electrical in highschool so I guess I’m screwed. But what do you plug in? whats the power source? 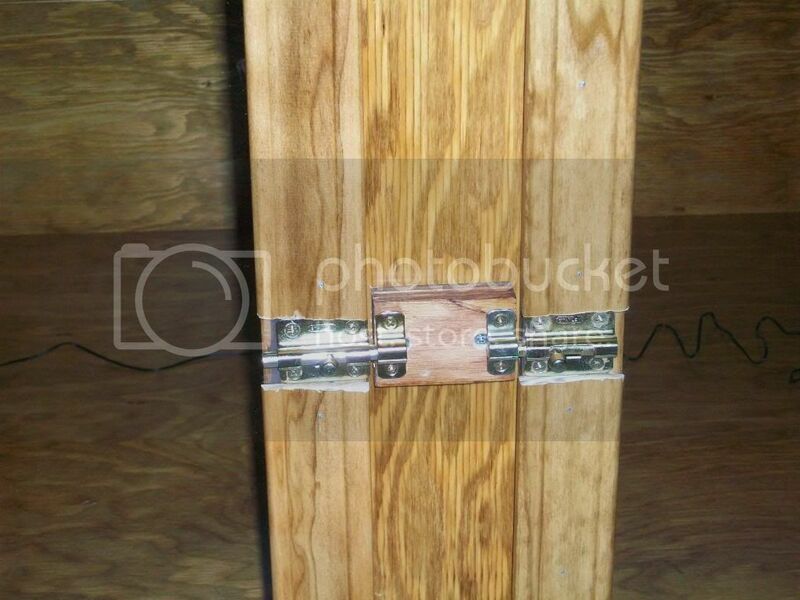 do you have a cord that gets plugged into an outlet or is it wired directly into your house? 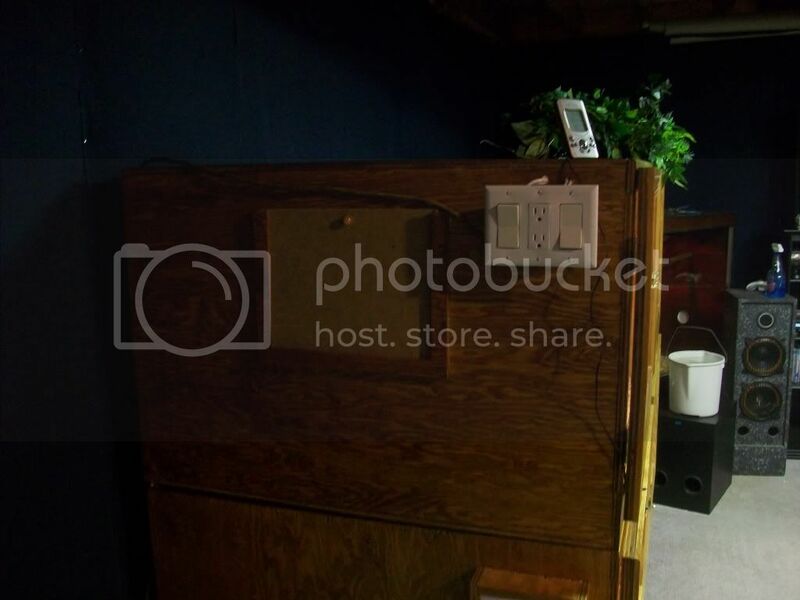 the pictures are confusing because it seems like the fixtures are connected to something on the side, but then what is that box connected to? see what i mean? I will more then likely get to doing it before to long but right now I do have one major tip...... the black wire (which is the hot one) always connects to the brass (gold screw) it doesn’t make a difference if its on the plus or the outlet or the light (which honestly doesn’t matter) now the thermostat changes depending on the maker. 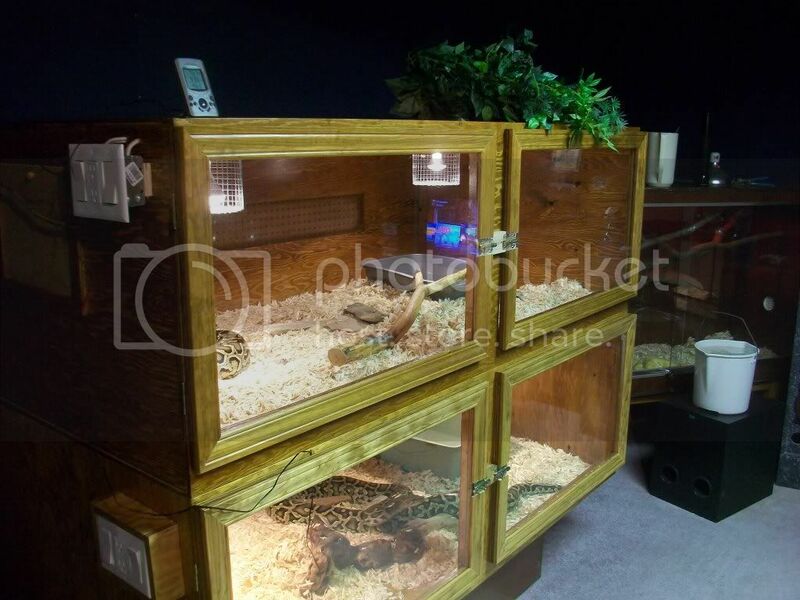 I notice that there are speakers in the background,does the noise or vibrations ever bother the snakes? It’s a lot more affordable and actually kinda fun to build your own, if at all possible I’d recommend it. I made 48"x42"8" cages for my burms, but as a couple of them are in the 12-13 ft. range now, I’ll have to build some slightly bigger cages. I ran 2x4’s around the base and the top of the cages so that it would allow me to recess the lighting and the water tubs, and make it easier and safer to stack the cages. 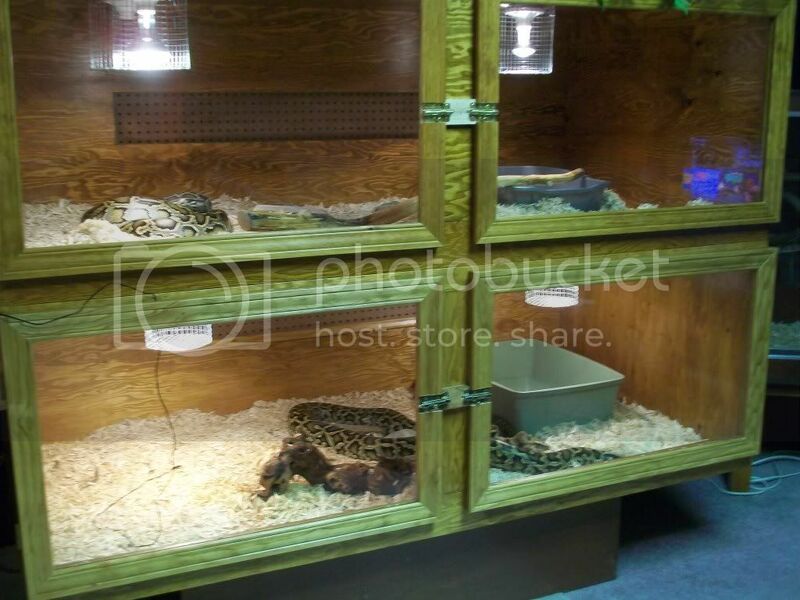 My snakes cannot and will not escape from these cages. Here’s a few pics. Ugh...I’m dumb...I just saw how old the original post is. 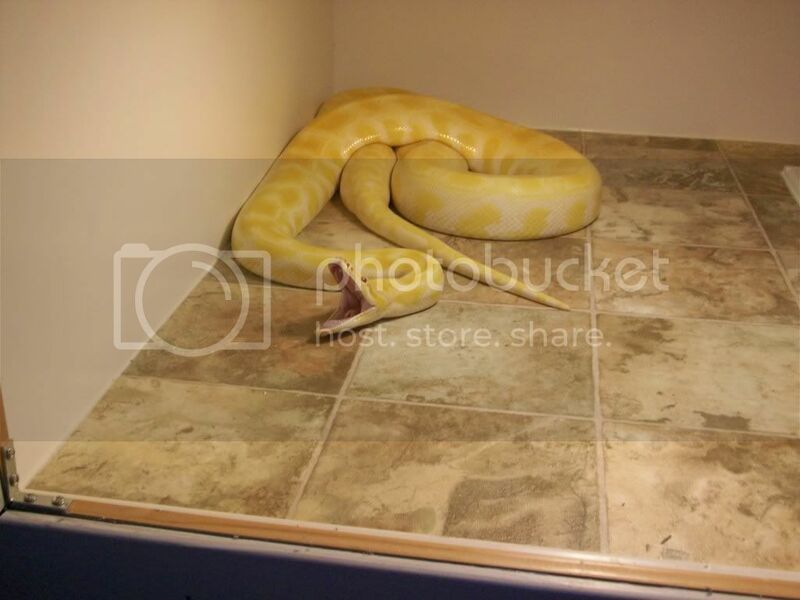 Out of the 6 snakes that are housed in those two sets of stackables I’ve got 1 purple phase albino retic, she’s a 10 ft. skinny little thing, that messes with them at night and always broke one of the bulbs. After I replace 5 or 6 of them I started using ceramic heaters and just use a normal 150w bulb for viewing light. 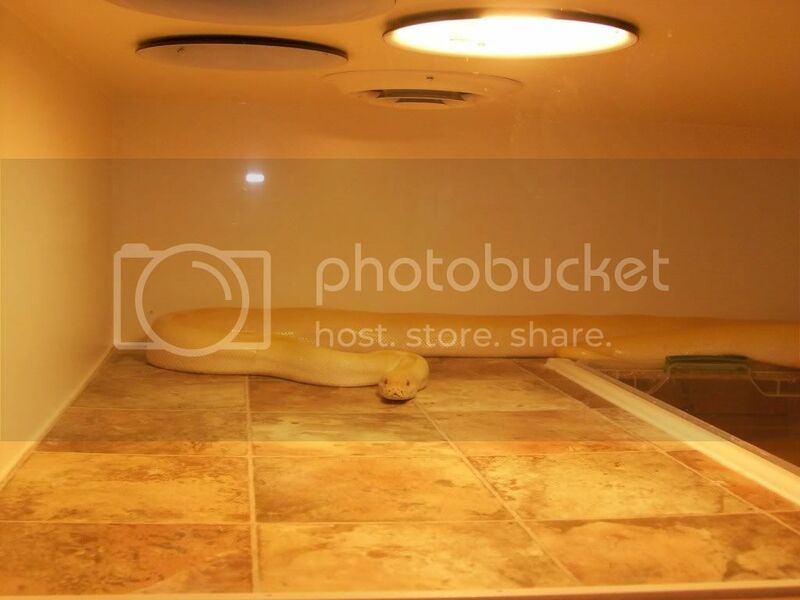 I noticed right away after doing that that the albinos stopped hiding their faces as much as they used to, and my retic doesn’t mess with the lights anymore. I also kinda figured out on accident that it’s easier to keep the cages humid now that I’m using ceramic heaters as well. I haven’t had to replace any of the ceramic bulbs either since I bought them 9 months ago, so I’ve saved a ton of money on bulbs. If you haven’t tried them before you should give em a shot. 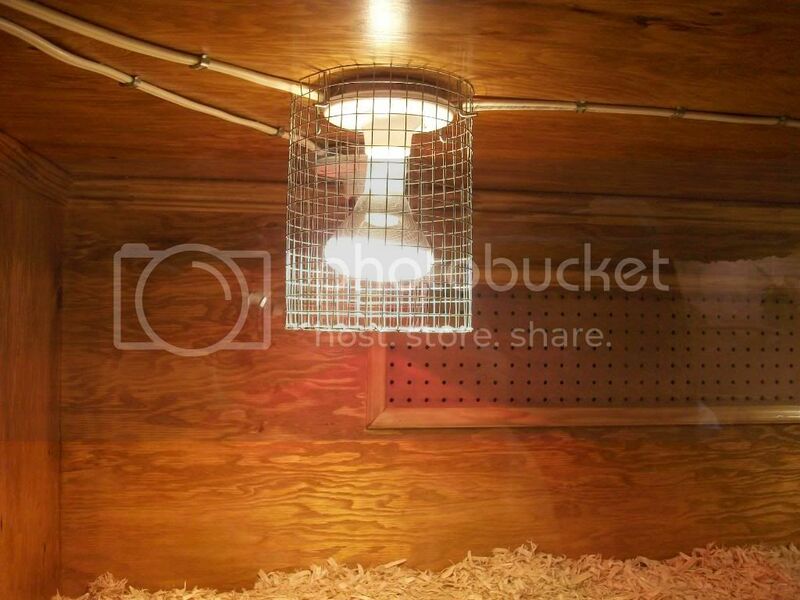 I used to have to replace sooooo many bulbs from bumping them or snakes bumping them or moving lids, etc. 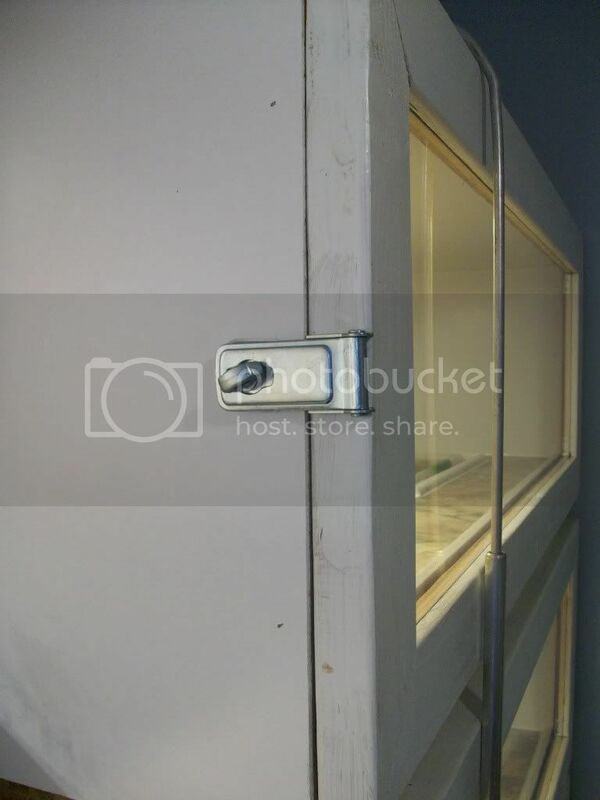 I always keep my eye open though at stores like home depot for some kind of cheap crowns or something I could use to cover them and hold them up better and make it so the snakes can’t mess with them even if they got a bug up there some day, but I haven’t found anything that would work yet. where are you located egreen? i am in VA. he lives in bed ford i believe witch is a little past Richmond, about 2 hours away from me.